This is one of the area’s most important festas, happening from 28 – 30 June every year. It is famous for its fast and furious tarantella dancing accompanied by tambourines. 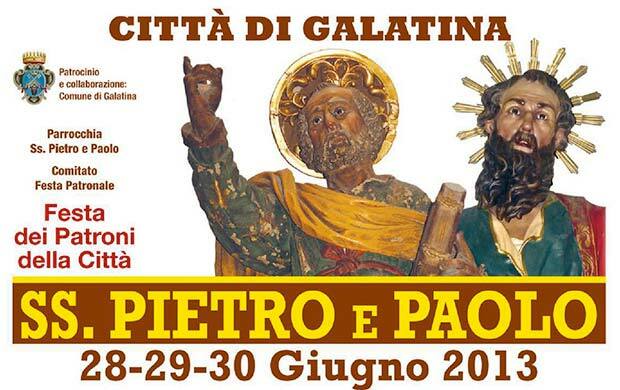 Galatina has two patron saints, San Pietro and San Paolo. Legend has it that they both stayed in Galatina during their travels to evangelise the world. There is a rock preserved in the Chiesa Madre where Saint Peter sat and rested. Saint Paul is said to have thanked a family for letting him stay in their home by giving the water in their well healing powers to cure the bites of any venomous creature, particularly the “wolf spider” or tarantola. The tarantella dance, named for the spider whose bite is believed to cause rapid jerky movements, is performed every year to ensure the healing powers of the well continue. When: 28, 29, 30 June, 2013.